We’re always listening to mums, asking for their opinions and understanding what matters to them at the moment. So here’s an insight into the latest hot topics and what we’re observing in the mum world. If you really want to engage with mums on social media then photos are a great idea. Mums really take notice of friends and family conversations on posts, and of any photos that are included. Just recently a friend posted a tour of their holiday apartment in Poole. I watched as 10 or so people asked where it was and were interested in booking. That’s pretty powerful stuff if you are trying to sell something. Think about mum ambassadors who can show off real life videos and photos – we want to see things from a real perspective. If you can find a way to tell a story in marketing that relates to me and my family then I’m interested. Make it real and you’ll have mums hooked. Forget falseness or something too contrived – keep it authentic for mums and show the benefits of that service or product within the story. Any brand can offer a product, try and engage with me and my children. But if children don’t like the product (or have suddenly gone off it) then I won’t be buying it. This doesn’t mean that mums will never try again – after all children change their minds. So think about how you can stay in mums space and tempt them back with offers. Most of us mums combine going online with out and about - we use online to find ideas for days out or holidays. And we’re often out and about when we are online (that could be anywhere!). So find ways to link those two worlds together for mums and make it easy for us to go online when we’re out. Engage by helping us. As our families grow we always want to know about the next stage. We’re always looking for new ideas, to understand the latest trends. So we listen to what mums have to say, both those who have been there and done it but also what they’ve heard on the grapevine. And mums are very good at telling other parents what we like and don’t like. In the last week I’ve listened to 3 or 4 mum recommendations and acted on them. If you'd like to know about mum insight drop us a line. It’s all about the…offers, points, deals, price promises, bargains and vouchers! Most mums use these words as an everyday part of their shopping vocabulary. They seek them out, talk about them, feel good when they get them. 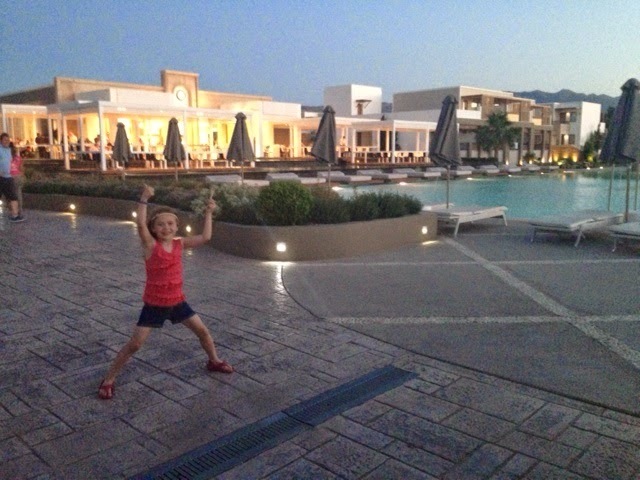 But in our world of discount normality mums can get overwhelmed with all the offers out there – and struggle to identify what is a real bargain. And what happens if mums miss out on these offers - does it damage how they feel about your brand? We asked mums about offers and discounts and here's our top five tips we think you need to know. 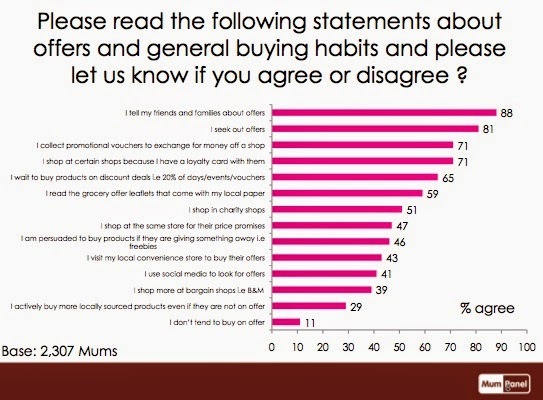 Mums share offers 88% of mums tell friends and family about offers they spot. This covers a wide range of discounts, from ones they pick up on holiday to something they come across in a newspaper or online. Mums share in the school playground, on Facebook and when out with friends. Mums actively seek out offers (81%) looks for discounts at the supermarket, online, at the local convenience store or at the local discount outlet. Mums are often focussed on finding offers or discounts for a particular brand. Mums will wait for discounts Mums will be patient and collect vouchers over weeks to get discounts. 2/3 of mums said they wait to buy certain products or brands during promotional weeks or events. Mums still like paper vouchers 59% mums read the local grocery vouchers coming through the door, they'll even look out for vouchers coming through the door. Most mums won't automatically chuck them in the bin. Mums, grandparents and kids like charity shops Over half of mums shop in charity shops (and many like school /summer fairs). But it is not just mums, we hear that children seek out their favourite books, games or toys at bargain prices and tell their friends too. But all is not rosy in discount land. Mums told us that they get confused by overlapping offers and sometimes this leads to them missing out on offers. If they do miss out they are often left with a negative perception of that brand and might take their spending power elsewhere. And, of course, mums will tell others about their experience - good or bad. That means it's vitally important to have a clear but inclusive discount strategy. Is sugar killing our children? It’s a controversial headline but one you’ll have seen splashed across the press in the last few days. This week the World Health Organization advised that we should all halve our daily sugar consumption in order to tackle the growing obesity crisis and other health problems such as tooth decay. Much of the advice given is sensible – cut down on fizzy drinks and processed meals which contain hidden sugars. But some of it is hugely confusing for parents – fruit juice contains lots of natural sugar. So should we be ditching this in favour of drinks with artificial sweeteners? There’s plenty of evidence that these aren’t particularly good for children either. What this means is there's a lot of confused consumers out there and that's bad news for brands. Mums are concerned about sugar in their children’s diet but they tend to worry more about hidden sugars in every day products rather than treats and cakes. They know cakes and sweets contain sugar and tend to position them as a treat with their children. They were more concerned about certain ‘healthy’ products that contain too much sugar i.e. cereal, yoghurt or drinks. Mums know fizzy drinks contain too much sugar. Many try and limit but are annoyed about the hidden sugars in cordial based drinks that they buy for their children. Many mums said they know they should be more conscious of checking sugar content. Mums were less worried about natural sugars in fruit. They don’t want to stop their children eating fruit as the health benefits outweigh the downsides of sugar. Many mums said that artificial sweeteners (Aspartame mentioned) are just as bad, if not worse. Many mums choose 'real' sugar products over ones that contain artificial sweeteners. They don’t want products laden with unnatural ingredients. Many mums acknowledged that consequence of too much sugar could be damage to their child’s teeth. For brands it’s about taking this information and helping mums find a way past the shocking headlines so they can make informed decisions. Consider evidence that mums understand – a teaspoon level measure per product shown on products. Distinguish between ‘natural’ sugars and ‘added’ sugars. Fruit is good for you even if it does contain sugar. Let’s help parents understand why the health benefits of fruit outweigh the sugar content. Show parents the whole picture. Let’s help parents educate themselves and inform their children. It is an opportunity for brands to show responsibility and to educate. Many parents would not like products to replace hidden sugar with hidden sweeteners. If brands can make products more natural and contain less ‘added’ sugar that would help. Some cereals and soft drinks have far too much sugar in them. Yogurts also have too much sugar. They are not supposed to be sweet! We want to make sure the kids have a healthy and balanced diet, of course we allow treats but we are careful. Plus I don't want them to have rotten teeth either! *Stats and findings taken from MumPanel survey (700 responses) conducted on 5th March 2014. How do you become a favourite brand with mums? In the Big Mum Opinion, our indepth study of over 3000 mums in the UK, we discovered the key fundamentals of service, quality, price and customer service are as important as ever. It’s vital to mums that a product or service really works and brings them so benefit – and as a brand you have to ensure that this message doesn’t get lost in smart communications or clever positioning. 1. Be honest about who you are and what you offer, deliver on your message right from product through to communications. 2. Mums relate brands to their own personal experiences, for example ‘my son loves...’ You can strengthen your market position by finding ways to tap into the family experience and what mums want. 3. Listen to the mum grapevine. Mums like to be included and want to see that their views are used to improve products and services for their families. 4. Mums don’t want brands to be ‘their best friend’ or be in their personal space. However, ‘being there’ as a resource or providing impartial, helpful or expert advice is welcome. If you’d like the full report fill in yourdetails here and we’ll send it across. Mums 'multi-shop' for groceries. Over 78% of mums use more than one shop (including online) to buy their grocery shopping in a typical week. And 28% use three or more. 70% because of offers and 39% because of better quality fresh food and vegetables. Mums love loyalty schemes, but rarely pick one to be 'loyal' to. Mums told us that their loyalty to stores is now shared - they are often loyal to two or three supermarkets. It's not all about supermarkets. Although supermarkets are a staple, mums told us that they can shop in a bargain store (17%), farm shop (9%) and supermarket (80%) in the same day or week for their household groceries. Offers and the quality of a product are not mutually exclusive. Don't be fooled into thinking that because mums love offers they are necessarily willing to compromise on quality, convenience or ethics. Quality of product is still incredibly important to many mums and they won't go for a cheaper product if they perceive it to be of an inferior quality. Mums like a choice of communication channels too. In-store marketing is still very important to mums - they are in the shopping zone and think it is a good time for brands to talk to them - even the online and social media savvy mums say so. Mums multi-shop and they also use multiple communication channels to decide. If you'd like to read the full Big Mum Opinion report you can get your hands on it here. 2013 was a significant year for MumPanel. 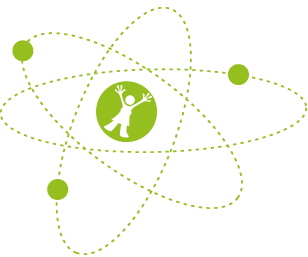 We decided to undertake one of the biggest, indepth research projects into mums in the UK. We set some tricky targets – speak to 3000 mums, gather a real understanding of where mums will be in 2014 – what they want, what they need, what brands are getting right and where companies need to work a little harder to make the right connections with families. And finally ensure we spoke to all kinds of mums, not just online but in the community and at the school gate. And the result of our work is The Big Mum Opinion – where you can find information on mums usage of social media, mums' trusted sources of influence, consumer engagement points, brand loyalty, and the impact of children on mums’ purchasing decisions, plus much more. But most importantly it reveals how you can really connect with mums and capture that market. communications. Know your values and be ready to evidence them. 2. Be genuine. Deliver products and services that really make a difference. That way you'll build trust and mums will genuinely recommend you through their own natural word of mouth channels. 3. Be there for mums as a trusted resource. But don't try to be a false best friend. 4. Offers. 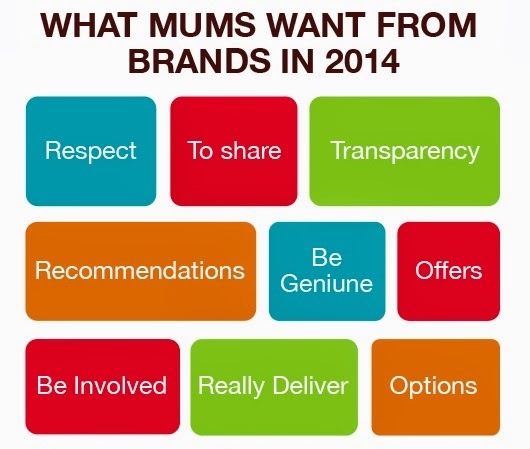 88% of mums tell their friends and family about offers and 81% actively seek out offers. Why not get the mums to be the ones to share and hand out their offers with others. perspective and you will reach and connect with them better. You can sign up for the full report (and find an info graphic) on the MumPanel website.